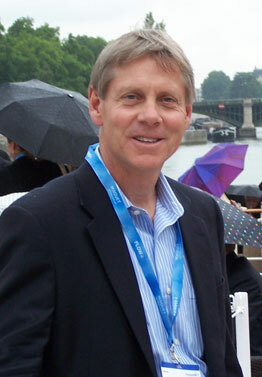 Kybele is thrilled to announce that Fulbright Scholar Dr. Craig Palmer will work alongside our Serbia partners in 2016. Palmer, an obstetric anesthesiologist, has served on the faculty at the University of Arizona more than 25 years and became acquainted with Kybele over the past decade as a regular attendee at the annual Society for Obstetric Anesthesia and Perinatology meetings, where he met Kybele founder Dr. Medge Owen. As a Fulbright alumna herself, Owen shared her experience of developing a passion for global medical work during her time abroad. Palmer’s longstanding interest in Kybele and the Fulbright program came to fruition this year when he was able to take time away from his academic career and pursue an opportunity to use his skills and talents internationally. After connecting with two anesthesiologists from Serbia at the SOAP meeting who were very enthusiastic about their partnership with Kybele, Palmer talked with Owen about Kybele’s work there. His interest in serving in Eastern Europe grew, and he soon submitted a proposal to conduct obstetric anesthesia training and research in Serbia. Among thousands of applicants for a Fulbright grant, Palmer was chosen. Wasting no time, Palmer traveled to Serbia with Kybele in June this year to set the foundation for his program. Beginning in January 2016, Palmer will spend four months living and working alongside Serbian physicians and residents in Novi Sad. During his initial visit, Palmer expressed how bright and energetic the Serbian anesthesiologists are, but said increased exposure to many techniques and procedures could improve the comfort and quality of care they provide to women in childbirth. His initial task will be to support health personnel and increase their comfort level using regional anesthesia for vaginal deliveries and Cesarean sections. He says he also hopes to involve clinical staff in research in order to build their enthusiasm and grow their reputation as published professionals in the field. Palmer will work with the departmental and hospital administration to set up a reliable registry of patients, establish and implement key procedures and techniques, and design a searchable database that can be used to track health statistics and trends over time. The Fulbright Scholar Program awards highly competitive, merit-based grants for international educational exchange for scholars and professionals to study, conduct research and share their talents abroad. The Fulbright Program is one of the most prestigious awards programs worldwide. We are honored to have Dr. Palmer and the Fulbright Program partner with Kybele!